Have You Seen the Movie Dunkirk? In the opening scene of Dunkirk, German bullets ricochet off old buildings in the French seaside resort. Helped by French soldiers manning a perimeter, a young British soldier weaves his way to the shore. There, as the Germans close in, tens of thousands of British soldiers are cornered, facing a bleak and impassable English Channel, empty save for one lone British hospital ship bobbing against a mole. How did the British army end up in this predicament? On May 10, 1940, after long months of what was termed a “Phony War,” the Germans invaded Belgium in a surprise, early morning attack. French and British troops had been gathered for months around France’s Maginot Line, fortifications along the Belgian border meant to keep the Germans out of France forever. Alerted to the invasion, the troops sprung to action, moving into Belgium to turn the Germans back. The British were fleeing. The French army was too, their trucks mixed in with the British. These soldiers were the defenders. If they were retreating, what did that mean for everyone else? The civilians took to the road, Annelle among them, fleeing with what few possessions they could carry. Eventually, the roads became clogged with people. German Stukas dove overhead, strafing and bombing the refugees as the Germans pushed deeper into France at an unstoppable pace. Many French civilians were carried north along with the army, all the way to Dunkirk. The British army was leaving. In the dunes, some of them hid, their heads dotting the beach, their bodies buried beneath the sand, waiting for orders, waiting for their turn to go. But the French civilians had no orders to wait for. They had no ships to take them to safety. They were trapped. Dunkirk was the end of the world, the end of France. The French and British were allies, but when the Germans invaded France, the British fled. They had to abandon France to have a chance of saving England. Mabry saw it so clearly now when it hadn’t even occurred to her before. To England, the Miracle of Dunkirk. To the French, complete and utter treachery. For the French, there were no miracles, just beaches strewn with bodies, discarded helmets and equipment, ruined vehicles, all that the British couldn’t carry. France surrendered just six weeks after the German invasion then endured four years of brutal occupation. Thanks to Dunkirk, the story of the heroic rescue of the British army isn’t lost to history. But the story from the French perspective shouldn’t be lost either. The story lines of the characters in the movie and what they endured are moving. The helpless British soldiers. The fearless, stoic fighter pilots. The humble civilian sailors. 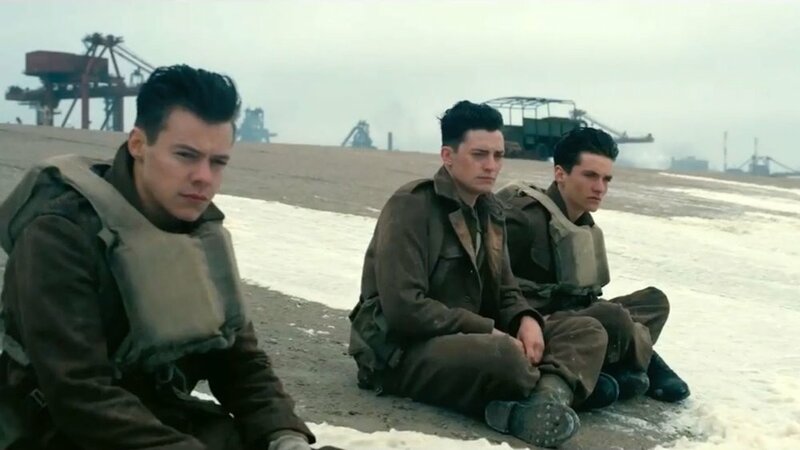 But perhaps the most nuanced story line in Dunkirk is that of the quiet “British” soldier—whom the viewer learns is actually French—whose fate as an expendable ally is allegoric of the fate of France and its complicated relationship with England.